The Skylark (Alauda Arvensis, Fuiseog) is a common resident throughout Ireland in uplands and areas of farmland. It is a rather non-descript species, with much brown and black streaking. 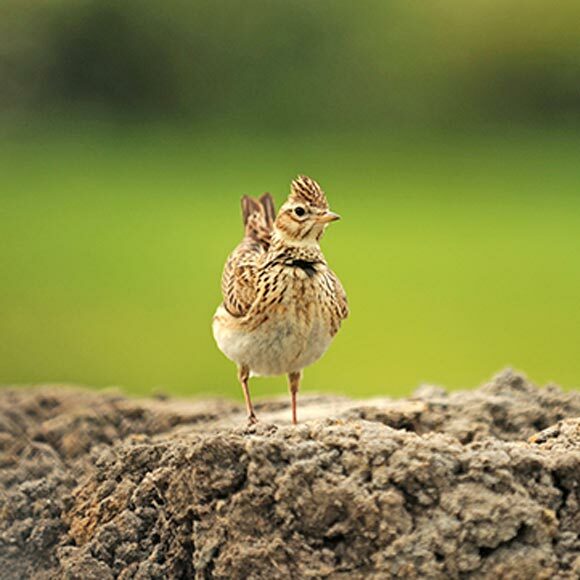 Skylarks feed on a variety of insects, seeds and plant leaves.